Are wasps all bad? Predaceous and parasitic Hymenoptera account for nearly 60 percent of all insect predation on other insects, meaning these species eat other bugs, which is a good thing. Problematic wasps such as vespid wasps like yellow jackets, hornets and paper wasps are vicious offenders of stinging. Normally they are killed off yearly in autumn in colder regions, but in the southeast, colonies can became quite large. The open-faced pendulous nests of paper wasps generally found under overhangs can be sprayed with an insecticide marked for their species. Hornets often build nests high up in trees or shrubs and are best treated by an exterminator. In-ground nests of yellow jackets are most easily angered and irksome. Sprays work but must be treated with caution and pretty much with a large colony, killing is out of the realm of amateurs. Preventative measures such as keeping food and drink inaccessible are one precaution, because they typically eat meats and sweets. Gardeners generally suggest that you get to know their habits their looks, and how best to control or avoid them. These bullies may also frequent hummingbird feeders and have been known to sting the little birds. You might wonder whether anything has the nerve to eat this dreadful flying drone. Actually, numerous species of birds devour wasps. They are also consumed by bears, skunks, bats, weasels, wolverines, rats, mice, crabs, frogs, fish, spiders and bee-eating insects. Finally, because they can, badgers often demolish the entire larvae. Social wasps such as yellow jackets and hornets gain entry to a house typically by way of unscreened attics or breaches in stud walls and siding. One placid wasp called the paper wasp builds an upside-down paper comb, similar to an umbrella, under house eaves. These little nests do not get overly large so their residents are few. A solitary wasp will often build a mud dauber nest on siding or under the roof edges and they are rarely home as this is a nest for their larval stage. In addition, they are “solitary" because they often only pair up to mate. Others, called the Parthenogenetic species, are almost reclusive and don’t even bother to mate. There are many species that don’t belong in one category or another; the large percentage though still mate and then die. Females of these species lay eggs in areas where their offspring will survive, and then, they die too. The larva of the sawfly wasp group live on or in plants. A sheltered space for the nest like a rock crevice or beneath a log will do for the predatory wasps. Their nests can look like tunnels, chambers, tubes or pots made from mud, plant scrapings or even pebbles. Sandy beaches can be homes to thousands of individual predatory wasps living communally. Sometimes they will live in close proximity to boring bees and infest dead trees, wooden posts, old barns, clay cliffs or adobe buildings. The parasitoid groups live on or in their insect hosts. These predatory wasps—also called stinging or hunting wasps—prey on other insects. Most adult females sting their prey paralyzing them and then move them to a nest. They lay an egg on or in a host but do not kill it, because it must live long enough to support the wasp’s developing larvae. The host will die eventually as the larval wasps mature. Hymenoptera (pronounced Hi-min-OP-ter-a) are most likely one of the only poisonous creatures you will meet if you love the outdoors and yardwork. The word name is Greek in origin: hymen for membrane and pteron for wing. In the U.S., at least 50 deaths from reactions to insect stings occur every year, half of those in people with no prior severe reaction. Experts tell us that in large part, those deaths occur in adults older than 40 years (80%). If you 20 years-old or younger, your chance of death from shock lowers to only 2%. People who are obsessively in fear of being stung have their own illness called entomophobia, which is an actual medical condition. Stings are administered by the rear end of the creature and not the biting end. In most cases, a sting is worse than a bite. Dr. Justin O Schmidt, an entomologist from the U.S. Department of Agriculture’s Carl Hayden Bee Research Center in Tucson, Arizona created a pain ranking system for Hymenoptera stings. He boldly conducted the research on himself, which often required provoking his subjects to anger in order to get them to attack or, one could say, defend. The Schmidt 4.0 ranks the pain on a scale of 1 to 4 and that includes 1.0 as being from “mild irritation" from a sweat bee to 4.0+ as “blinding, brilliant pain" inflicted by the Central American bullet ant. The 4.0 category goes to the Pepsis wasp (spider wasp commonly) and is described as blinding, fierce and shockingly electric. Wash the stung area with soap and water, apply an antiseptic in an ointment form such as hydrocortisone cream or calamine lotion and cover the area with a dry, sterile bandage. If swelling is a problem, apply an ice pack or cold compress to the area. Take an over-the-counter oral antihistamine followed by an anti-inflammatory such as ibuprofen. How Are Allergic Sting Reactions Treated? Some people develop an anaphylactic reaction, which means the venom has triggered an allergic reaction. 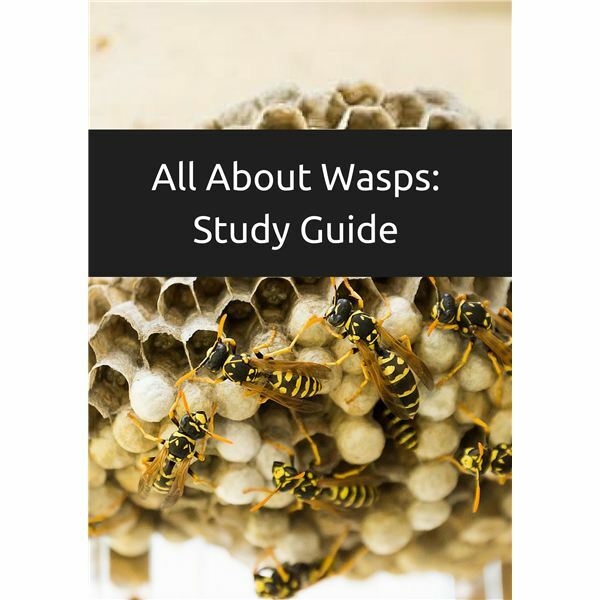 Generally, most stings will create a swelling of the part stung; but people with severe reactions suffer more: hard breathing, hives—an itchy rash—swelling of the respiratory system, difficulty swallowing, restlessness and anxiety, rapid pulse and dizziness. Severe allergic sting reactions should be treated promptly with intramuscular epinephrine. That means an injection usually from a pen-like object filled with adrenaline: either self-injected or administered by a doctor. Usually, this injection will stop the development of a more severe allergic reaction. Grissell, Eric. Bees, Wasps, and Ants. Portland, OR: Timber Press, 2010. Book. “New Scientist”. Does Anything Eat Wasps? New York: Free Press, 2005. Book.